This classic crossword series returns for its ninetieth year with 300 never-before-published puzzles! Simon & Schuster published the first-ever crossword puzzle book in 1924. Now, ninety years later, the tradition continues with a brand-new collection of 300 crosswords from expert puzzle constructor, John M. Samson. 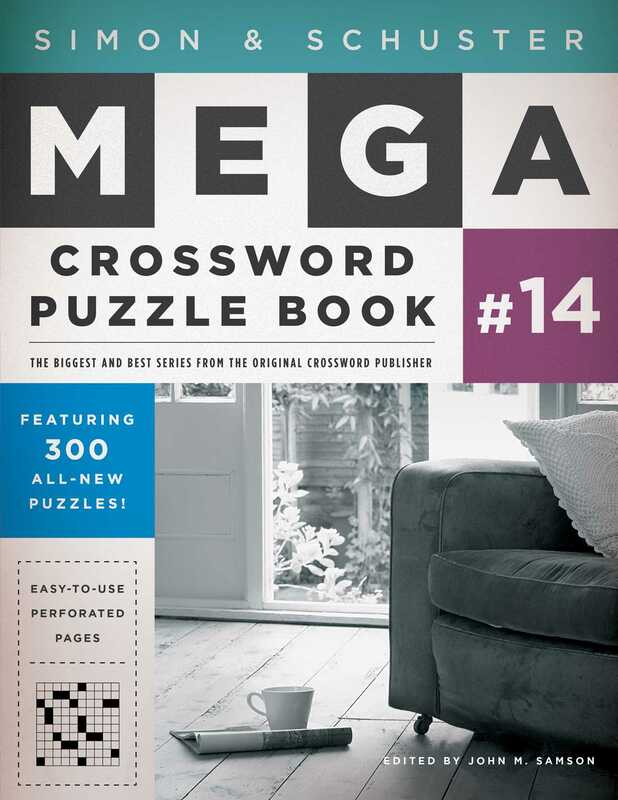 The Simon & Schuster Mega Crossword Puzzle Book #14 is designed with convenience in mind and features perforated pages so you can tear out puzzles individually and work on them on-the-go. This new super-sized book will delight existing fans and challenge new puzzle enthusiasts as they discover this timeless and unique collection of entertainment.